If your memory of the raw monstrosity of the 9/11 attacks has faded -- or if you were too young or sheltered to fully understand the attack then -- you need to see this slideshow tribute (via Lucianne). It may take minutes to fully load and about 15 minutes to view, but it's worth it. 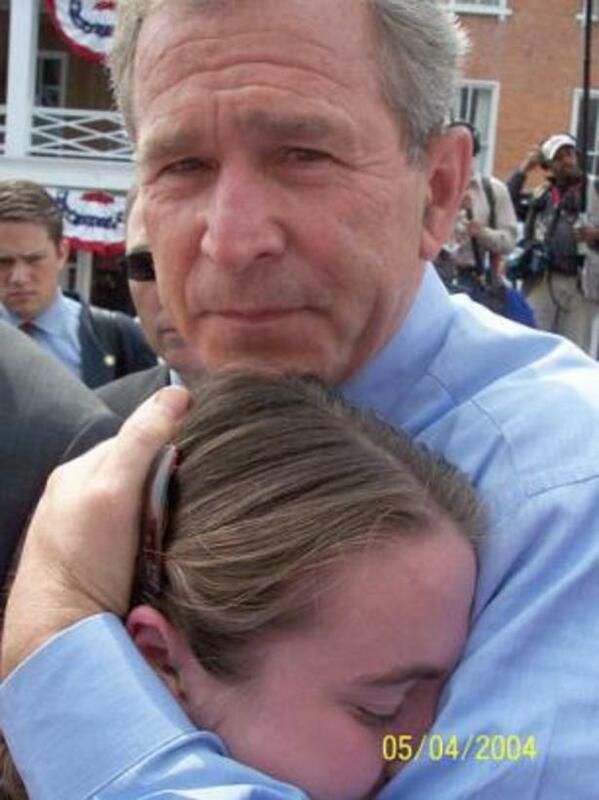 My daughter was three years old when the attack came. For obvious reasons, I told her almost nothing of it. Someday, my children will need to know the evil that came that day. There were other children who learned on September 11, 2001 that something horrible had happened, because their mother or father did not come home and alarms of distress sounded in their homes. 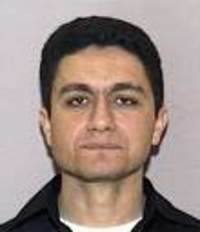 One of the mothers who never came home again was Amenia Rasool, a 33-year old accountant with Marsh & McLennan on the 98th floor in the north tower of the World Trade Center. She left early the morning of September 11, 2001 and was never again to hold, kiss, hug, comfort, or laugh with her four young children, Aneesa, Aseefa, Saeed, and Farhaad, ages 8, 6, 3 and 10 months. The decent people of the world -- I am speaking of you, I trust -- need to help future generations remember and understand the massive scale of human suffering that was caused by a handful of men with dead souls. Some in the Muslim world openly celebrated the 9/11 attacks on America, most notably in the Palestinian territory. The civilized world, on the other hand, shared in America's shock and mourning. Some Muslims almost immediately began to deny, to all who would listen, that Al Qaeda and Osama Bin Laden had planned and carried out the attacks. These deniers were closed and impervious to facts and evidence. When asked to explain why, for example, Mohammed Atta's father could not explain his son's sudden disappearance on 9/11, they had no answer. Yet they continued with their unfounded, outrageous claims. It was the first of many frustrating divides between ordinary Americans willing to face and acknowledge the truth and others in America and around the world who were hell-bent on concealing the truth at any cost. Years later, when Bin Laden first admitted having planned the attacks, the same fools who had earlier denied that he planned the attacks continued on with their same unfounded claims -- now claiming as well (without evidence) that the videotape of Bin Laden admitting the planning of the attacks must be fake. As Bin Laden continued to admit responsibility for the attacks in further videos, and even after Islamist websites began to release video of Bin Laden meeting with the hijackers, the craziness shifted into more generalized anti-Americanism. Some fools hinted that maybe the 9/11 attack was planned by the Bush Administration, the CIA, Jewish people, or other Americans -- some of the most unsupported, sickening and evil slanders in the history of the world. Those who spread such lies ignored -- and many continue to ignore -- all facts, evidence, and logic in an attempt to excuse men who viciously murdered innocent men, women and children in the name of Allah. They go out of their way to excuse Mohammed Atta, the 9/11 hijacker with dead eyes, and 18 other hijackers whose souls were equally dead. The man at the counter in Portland on 9/11 seemed to know instantly, however, that before him stood one of these "dead souls." He says, "It was just the look on the one man's face, his eyes...everyone in America has seen a picture of this man, but there is more life in that photograph we've all seen than he had in the flesh and blood. He looked like a walking corpse. He looked so angry. And he wouldn't look directly at me." After 9/11, some well-meaning Americans, including some I count as friends, opposed taking the fight to the enemy in Afghanistan, even though Osama Bin Laden lived there and was being sheltered there by the Taliban. Later, when the war on Iraq began, these individuals shifted their objections to that war -- a more defensible position, at least. For many Americans who grew up after World War II, the 9/11 attack was a turning point that made them understand, finally, what the American flag meant to earlier generations. They no longer looked at patriotism as an embarrassing relic hauled out for Memorial Day and Veterans Day and then stowed away the rest of the year; we all felt it in our souls for a time. Many Americans put out American flags on our houses and cars in unity and in defiance -- this at a time when the nation still perceived itself as under attack. The nation and the economy underwent a long period of shock, alarm, worry and mourning. I was among many Americans who found it difficult to focus on work in September 2001. It took a long time for anything to feel normal again. Even driving to work in a downtown office high-rise felt like a risky maneuver for a while. And, indeed, security became very tight at high-rise buildings across America. 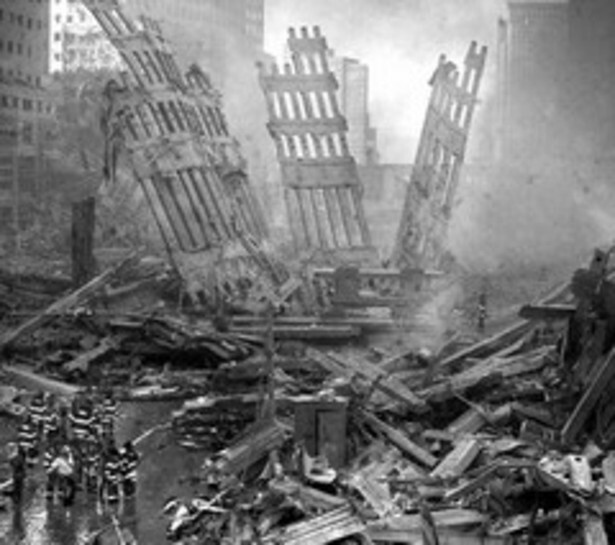 It was a mournful time, as Ground Zero of the World Trade Center collapse continued to smolder and the search for survivors became the grim search for tiny bits and scraps of DNA. There was an biological warfare scare -- and well-founded one, for it came with the reality of death -- when someone sent anthrax through the U.S. mail on and after September 18, 2001. At least 22 people developed anthrax infections, and five died. The letters contained messages such as "Death to America, Death to Israel, Allah is Great." The source of the anthrax was never found. Despite the explicit terrorist message, the working assumptions, supported by some evidence, was that the anthrax may have come from a domestic source. However, the investigation was inconclusive and the source of the anthrax was never determined. Since 9/11, there have been further terrorist attacks, dry runs, copycat incidents, and intercepted or pre-empted terrorist plots. On December 22, 2001, Richard Reid, an al Qaeda member, attempted to explode American Airlines Flight 63 in mid-air on a flight between Paris and Miami by lighting explosives hidden in his shoes. Both before and after 9/11, Al Qaeda plotted to crash a plane into the 73-story Library Tower in downtown Los Angeles. At least four hijackers, including a pilot, were enlisted for the attack, but fortunately one of them was captured in early 2002 and identified other members of the plot. An American, Jose Padilla, was arrested in May 2002 and discovered to have associated with Islamic terrorists, including Al Qaeda, and to have attended a jihadist training camp in Afghanistan. There were early reports that he was believed to have engaged in a plot to explode a "dirty" radioactive bomb in the U.S., but he was convicted on charges of conspiring to fund and support terrorism and to kill people abroad. Beginning in October 2002, "freelance" American jihadists ("Beltway snipers") John Allen Muhammed and Lee Malvo began killing apparently randomly selected Americans in the Washington, D.C., Maryland, and Virginia area, in sniper attacks. The victims of the shootings that began in October 2002 included men and women at gas stations and a 13-year old boy arriving at school. In all, ten people were killed and others critically injured before the two snipers were apprehended. Among their effects were found several notes and other documents referring to jihad. In 2006, a plot was uncovered to destroy as many as ten transatlantic aircraft traveling between America and Britain, using liquid explosives. The history of the Islamist war on America and on all of the West is still being written. The threats from Al Qaeda and other Islamic terror groups continue unabated. As Iran advances rapidly toward full nuclear weapons capability -- an advance that the U.N. and European Union have thus far proven themselves unable to stop despite years of attempted threats, sanctions, and bribes -- the threat to the United States and other decent, civilized nations continues to grow. In retrospect, many Americans now realize that the 9/11 attack was part of a larger war of Islamic terror that began for America in November 1979, when Iranians stormed the American embassy in Iran, taking 63 Americans hostage. The hostages were held for 444 days despite all of President Jimmy Carter's best cajoling, wheedling, a failed rescue attempt, and sanctions, until Ronald Reagan was finally elected president and inaugurated on January 20, 1981 -- at which time the hostages were immediately released. There were multiple terror attacks on America and the West between the 1970s and September 11, 2001. The problem was that each was isolated enough, or distant enough, or untraceable enough -- that each could be dismissed as "not our problem" or "not that big a problem" or an "isolated problem" or a "remote" problem. For example, there was an earlier 1993 bomb attack on the World Trade Center by Islamic terrorists during Bill Clinton's administration. During Clinton's administration, the U.S.S. Cole was also attacked and 17 sailors were killed, in an attack for which Osama Bin Laden took malevolent "credit." There were other bombings as well. An Iraqi plot to assassinate the first President George Bush was also discovered. America's greatest danger today is its growing complacency and its domestic political myopia. A tentative national consensus is emerging that the time is approaching to withdraw from Iraq and leave that nation to its own defense. Some believe the timetable for such a withdrawal should be measured in decades or years -- others on the vocal left want it measured in months. Out of that sharp divide in public opinion has grown a fervent desire by many -- especially on the left or on the isolationist right and middle -- to forget the dangers America continues to face. Even words like "terrorist" are now shunned by the leftist media -- ever afraid of giving offense or of reminding anyone of the perils of Islamofascism. The media have referred to Osama Bin Laden, for example, as a "dissident." It is difficult for me to fathom how deeply myopic or empty of humanity a person must be that they can excuse Mohammed Atta and yet condemn George W. Bush. Either they don't see the difference in the men or they see it but don't care. They don't care that they are choosing to side with men whose hearts smolder with rage like that pit of hell at 9/11 Ground Zero. 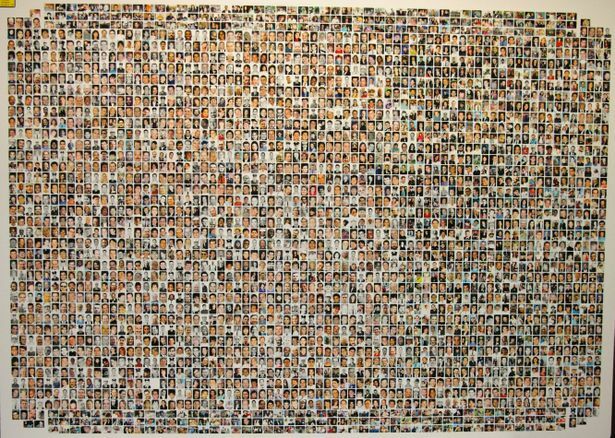 These are only the victims of the 9/11 attack who did not survive the day. Many thousands more were critically injured, widowed, orphaned, crushed and bereaved. When you give a pass to the cold, calculating murderers of your own countrymen -- and ooze malice against the decent leaders of your own nation -- what are you? Appeasement is not an option. Islamic jihadists want nothing less than the destruction of America, Western civilization, Israel, and democracy itself. They sometimes hide their intentions for the benefit of Western ears, but their hatred and jihadist purposes often seep out and are made plain. At that moment, we have a choice to look evil in the face -- or to avert our eyes and pretend it's not there. Too many are opting to look away. Now, no less than on September 11, 2001, we need strong, persistent action against America's deadly enemies here and abroad. We need courage and determination. We need unity. If some of us forget, we will be forced to learn the lesson again and again. Update 1: On the sixth anniversary of the 9/11 attack, Michelle Malkin remembers, and again shares the chilling video and 9/11 call of WTC victim Kevin Cosgrove. Ed Morrissey remembers 9/11 too, and invites your memories of that day. Stop the ACLU has moving video and images. Laurie Byrd at Wizbang has a wealth of links. Many people are posting their own memories of 9/11 at James Lilieks' invitation at buzz.mn. The Anchoress remembers it all, and reminds me of Tony Blair's valor in standing by America's side immediately after 9/11. I remember how surprised and moved I was when Britons played the Star Spangled Banner at Buckingham Palace after 9/11. Charles Johnson at Little Green Footballs has linked to Tilly's Story, a mind-boggling, harrowing personal account from a survivor at the World Trade Center. It's a must-read. Anger is frequently portrayed as a negative emotion that debases those who wield it. The counterpoint is offered by Bede Jarrett, a prominent Dominican priest of the early 1900s. “The world needs anger,” he argued. “The world often continues to allow evil because it isn’t angry enough.” Anger at an injustice spurs people to combat that injustice, as when neighbors unite to drive out drug dealers following the death of a child. Indeed, anger can be both principled and righteous — a force for good in the world. Are you angry about 9/11 and its aftermath? I am. I am angry at the carnage of that clear September morning, as 19 soldiers of Allah stole the lives of nearly 3,000 irreplaceable human beings. However, my anger extends far beyond those specific horrors and the terrorists who perpetrated them. Mohamed Atta can never kill again, but the malignant worldview that spawned him continues to target innocents each and every day. That ideology must be the ultimate focus of our anger. I am angry at the failure of Western elites to robustly acknowledge the true nature of the enemy: a violent, repressive, and expansionist movement grounded in Islam. Rather, we are fed a litany of bromides about the role of poverty and “the religion of peace.” No war has ever been won without knowing the enemy, and this war will not be the first. 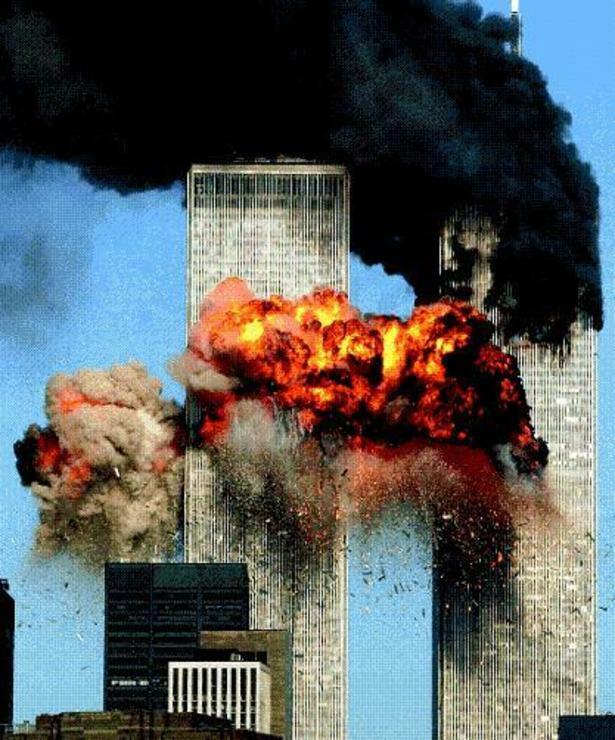 I am angry at the deniers who insist that the 9/11 attacks were orchestrated by President Bush, the CIA, or the Mossad. I am angry at Ward Churchill and his glassy-eyed minions who proclaim that stockbrokers and secretaries got what they deserved on that day. I am angry that, six years later, lower Manhattan remains scarred by a giant hole in the pavement. This is a national shame. The torpid pace of reconstruction at Ground Zero serves as a microcosm for the hesitancy and half measures that have plagued our approach to this war from the beginning. I am angry that Osama bin Laden has not yet been granted the martyrdom that he enthusiastically promotes for his underlings. While neutralizing the Al Qaeda leader would by no means end this struggle, it would nonetheless prove remarkably satisfying to see him paraded around in an orange jumpsuit or stretched out on a slab. I am angry at the factions that are agitating for the withdrawal of U.S. forces from Iraq, the central front in this global conflict. Iraqi soil already covers the graves of countless jihadists cut from the same mold as the 9/11 hijackers. We must not forgo the opportunity to eliminate many more of them and inflict upon their movement a strategic defeat. Finally, I am angry at the self-appointed guardians of civil rights, primarily CAIR and the ACLU, which aim to dismantle virtually every security measure put in place to forestall another mass casualty attack. Their tireless peddling of phantom outrages subjects all of us to greater risk. Benjamin Franklin noted that “anger is never without a reason, but seldom with a good one.” The atrocities visited upon us six years ago and the feckless response to them provide such a reason. Indeed, anger is not merely appropriate; it is essential if we are to diligently confront the evils of radical Islam. Let us therefore pledge to remember 9/11 — not just today, but every day — and to not simply remember, but to feel angry as well. Only by looking back in anger can we look forward with resolve. ABC News has just released new aerial photos of the World Trade Center on 9/11/01 that it obtained through a Freedom of Information Act request. The photos are here. After viewing the photos, the word that comes to mind for me is "mournful." This is why i visit you site daily. Great read thanks.